Did I tell you about this absolutely fantastic event that I recently went to. Yes, am talking about the Saffola Fit foodie, Crave no More event in New Delhi , where few of India's top bloggers were invited to witness an awesome event with Chef Kunal Kapur, Chef Saransh Goila and Chef Shipra Khanna. I often get invites to attend out of station events but for some personal reasons I could never participate in those. and to be absolutely true I always find it difficult to do something out of my comfort zone. Going iut and meeting people have never my thing I rather would like to do my work on my own terms. but this time I liked the way the invites were sent through and also to mention the very co operative and humble PR team. 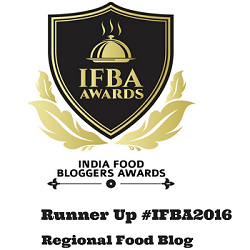 So on 19th March'2016 I found myself on an early morning flight to Delhi to attend this event. 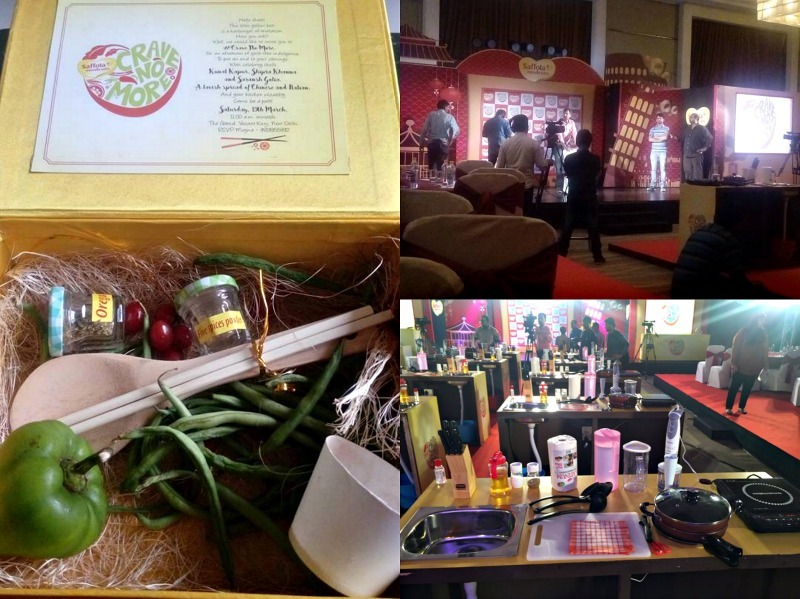 The Event was held at Hotel Grand Hyatt in Vasantkunj. On reaching the venue I was surprise to see the huge set and stage created for this. There were 12 cooking station at the center with neatly stacked rows of all possible ingredients at the back. Though I had no clue of what was going to happen but decided to wait for the surprise to unfold. I met some of my fellow bloggers like Deeba Rajpal of Passionate about baking, Farrukh Shadab of cubes n juliennes, Raksha Kamat of Raksha's Kitchen, Jyothi of Curry trail, Preeti of Simply Tadka and many more. It was lovely meeting them and chatting about food and life. Saffola Oats is a pioneer in making oats a staple breakfast in India. I mean so many other companies came up with the regular sweet flavour but Saffola is the first one who did the research right and gave India the savoury flavours which they love for their breakfast. 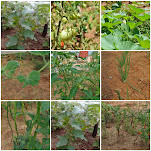 Their Tomato and Masala flavours had been a hit with everyone and now they have come up with Italian and Chinese flavours which hits the spot just right. IF thats not brilliant then am not sure what is. What??? you dont trust me? wait till you taste these amazing flavours yourself. During the first phase of the event we were given bowlfuls of the Chinese and Italian flavoured oats to taste which literally blew our socks off. Chinese oats tastes exactly like Manchurian gravy with bites from dehydrated veggies and spring onion. It also has an extra kick of spice at the end, which will make you reach for that bowl over and over. 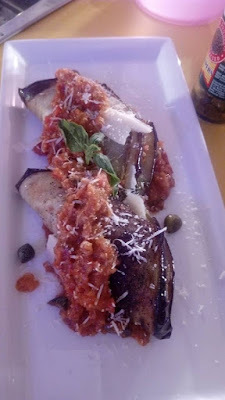 The Italian flavour tasted equally good with a genuine battuto or Italian soffritto flavours and that cheesy aroma without a trace of anything unhealthy in it. Thanks to Saffola Oats and Chef Kunal for co creating these flavours and making indulgence guilt free. 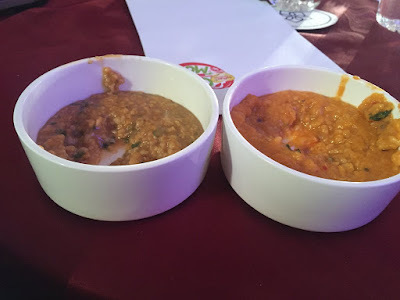 The second part of the event saw Chef Saransh and Chef Shipra creating new dishes with these two flavours. Chef Shipra's Italian Oats with hung curd, green apples and paneer delivered a beautiful mediterranean flavour, refreshing and indulgent. 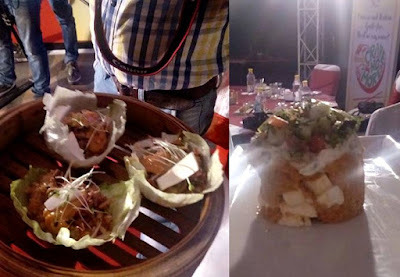 Chef Saransh created a healthy Chinese flavoured oats with indigenous veggies like Parwal and served it in a wrap style within lettuce leave. But the biggest surprise awaited us in the final part where a two phase competition was announced between all the bloggers and foodies present there. First everyone were presented with the task of identifying exotic Chinese and Italian ingredients. 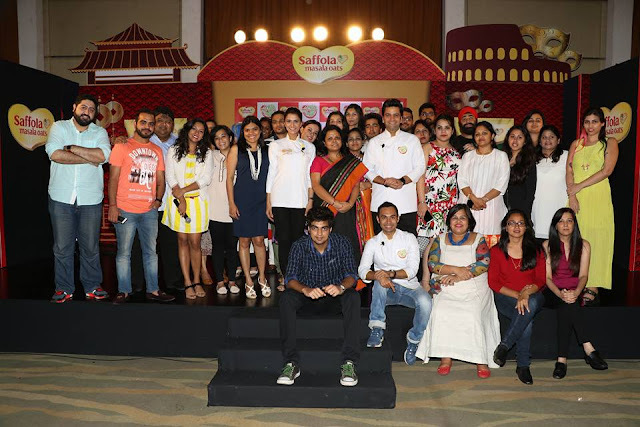 24 winners of that went to the second part to create quick innovative and healthy recipes using Saffola Masala Oats Italian and Chinese variant as the key ingredient. The time span was as limited as 15 minutes within which you needed to prep, cook and present your dish in a beautiful manner. Reluctantly I gave in to the enthusiasm and prepared some Eggplant roulade with Italian flavoured Saffola Masala Oats as a stuffing. The oats were cooked with usual Italian spice combination like garlic, onion, tomato and I also added basil, broccoli, capsicum, carrots and some Italian sausages to make it wholesome and nutritious. The roulads were served on the bed of a quick tomato sauce perked up with pepper and parmesan cheese. 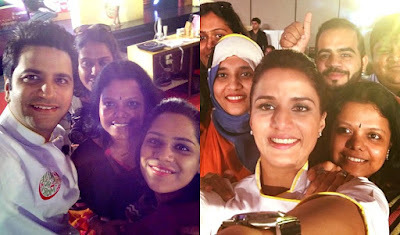 Surprisingly the Chefs loved my dish and I was announced one of those 6 lucky winners who will again take part in the second phase of the competition in Mumbai. 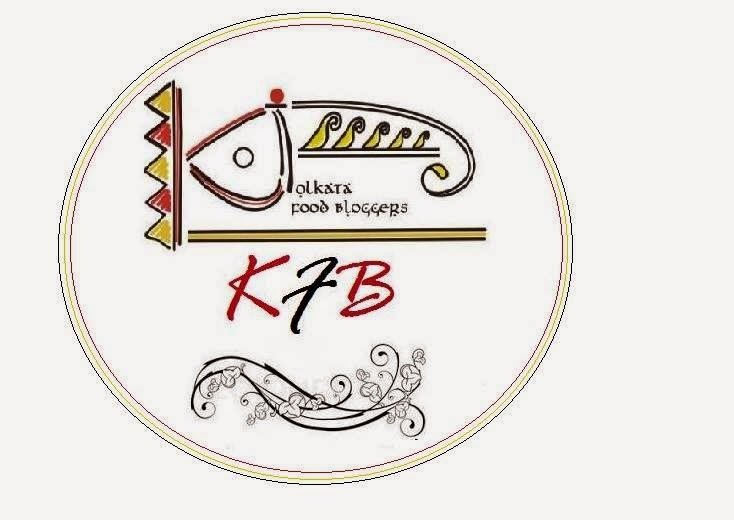 Which is going to be a food truck event and two groups would compete under the guidance of Chef Shipra and Chef Saransh. 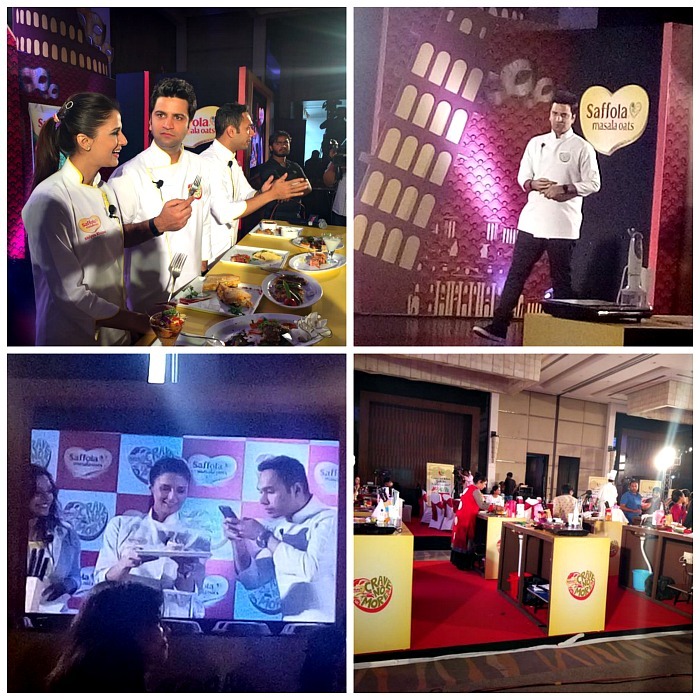 Judged by the Fit Foodie panelists, Chef Kunal Kapur, Chef Shipra Khanna and Chef Saransh Goila, the 6 winners are Adarsh Munjala, The Big Bhookad; Kumar Jhuremalani, Pet Pujaris; Saloni Malkhani, Food Bloggers Association of India (FBAI); Sayantani Mahapatra, A Homemaker’s Diary; Priya Sharma, Mumasfooddiary and Richa Gupta, Myfoodstoryas the winners for the phase I. The winners from this phase will go on to Phase 2 of the competition and will participate in a ‘food-truck’ challenge in Mumbai. So please keep checking on this page for em to bring on more exciting news. my most favourite breakfast, i just love it. . really enjoyed the write up.